Nigerian senators have berated President Muhammadu Buhari for planning the coup against the late Shehu Shagari in 1983. According to a report by Punch Metro, senators on Thursday unanimously condemned the 1983 military coup led by President Muhammadu Buhari and lamented that the change in government affected Nigeria’s development and unity negatively. They stated this while contributing to a motion sponsored by Senator Ibrahim Danbaba and nine others on the death of former President Shehu Shagari. The federal lawmakers therefore urged the Federal Government to immortalise Shagari, who they described as a nationalist, who promoted national unity and executed many projects in the country. The Senate, which observed one minute prayer in honour of the deceased, resolved to send a delegation to condole with his family as well as the people and government of Sokoto State. The Senate Leader, Ahmed Lawan (Yobe North) described the former President as a true democrat and a peaceful person whose goodwill and ethical disposition to office should be emulated. “Shagari, being a nationalist, was able to sustain the coalition of government of national unity which produced Dr Edwin Ume Ezeoke on the platform of Nigeria Peoples Party as Speaker of the House of Representatives,” he added. 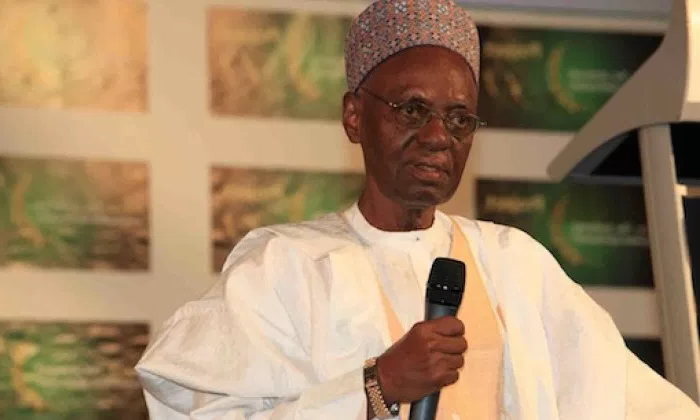 Deputy Senate Leader, Bala Ibn Na’Allah, said Shagari was a national patriot who despite what he went through in the hands of the military after the coup against his government completely forgave those that wronged him. Senator Mao Ohuambuwa (Abia North) described the former President as a great leader and bridge builder who meant well for the Niger Delta. He said the unity and cohesion being enjoyed in Nigeria today could be attributed to the days of Shagari as President. “Unfortunately, he was toppled in a military coup in 1983 and the development which dragged Nigeria backward for 20 years also stalled the economic growth of the country,” he said. Also, Senator Barnabas Gemade wondered why Nigerian leaders had failed to emulate the late Shagari, who he described as a complete detribalised Nigerian who shunned nepotism while in office. He said, “Shagari appointed three ministers from my ethnic group which is in the minority in the Middle Belt despite the fact that he is from the majority group. Deputy President of the Senate, Ike Ekweremadu, noted that the senators, who spoke from the various political divides and ethnic groups, were full of commendations for Shagari and condemned those who toppled his government. Senator Ibrahim Gumel explained how he broke the news of Shagari children’s death to him during a political meeting in Enugu. He said, “I was with the late President at the Presidential Hotel, Enugu. The information about the death of his children was passed to me and I broke it to him while the meeting was still ongoing. In his motion, Danbaba noted that Shagari promoted national unity in the country and executed many projects in agriculture under his government’s Green Revolution programme. He added that Shagari promoted a massive housing programme, industrial development especially the Ajaokuta Steel Rolling Mill; workers’ welfare, massive infrastructural development and the development of the Federal Capital Territory. He said Shagari remained apolitical after his government was overthrown in 1983. He added that the deceased returned to his home town in 1986 and lived in the very traditional house where he was born up until 1996, before the Federal Government provided him with a house in Sokoto, the state capital. He described Shagari’s death as a great loss not only to his immediate family, but also to entire Nigerians. Meanwhile, the Senate on Thursday confirmed the appointment of Monday Udo Tom, from Akwa Ibom State, as Resident Electoral Commissioner in the Independent National Electoral Commission. Ekweremadu, who presided over the plenary, charged the electoral body not to disappoint Nigerians in the conduct of the 2019 general elections.